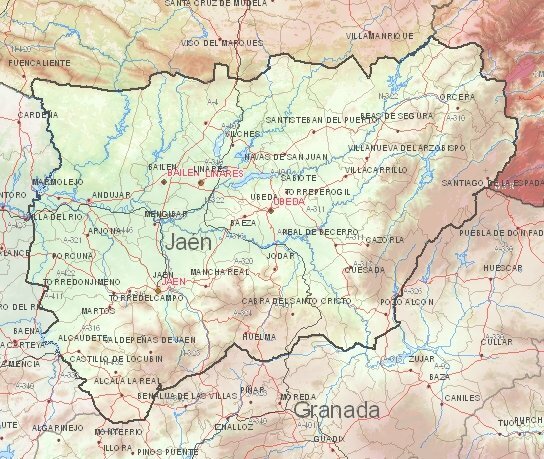 Holidays to Spain in the rural province of Jaen? : Many Italian Renaissance architecture in this beautiful small town with a medieval city center. The town is located not far from Ubeda in Jaen. : Town on the Guadalquivir river in the west of this lesser known Andalusian province. Andújar is known for its ceramics and has several museums, convents and squares. 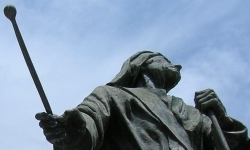 : UNESCO town with beautiful buildings at the Vázquez de Molina square. Many buildings are in Italian Renaissance style designed by architect Andrés de Vandelvira who worked on behalf of wealthy families. : Very large nature park in the east of the province with wooded hills and mountains up to 2000 meters high. Base is the beautiful mountain village of Cazorla from where the area can be to explored on foot. : A magnificent cathedral, castle of Santa Catalina and the world capital of the olive oil make this city a worthy detour at a cultural tour around Andalusia or the whole of southern Spain. Soon Jaén webcam, blogs, travelreports, spanish recipes and movie locations. 1) Current weather in Jaen (temperature, precipitation).